It's easier than ever to save with Beijing holiday packages on Expedia. You'll have loads more time to arrange the fun stuff — and more cash to splash! Smart jetsetters can save up to 16%* by securing a package deal on Expedia. With just a few clicks, you can book everything you'll need for your next holiday through our enormous database. And — with more than 400 partner airlines and 321,000 properties from around the world, you'll have the freedom to mix and match! You never have to worry about altering your family's holiday plans, as we don't charge additional cancellation fees for almost all of our reservations. There are loads of awesome things you can do when you're somewhere new. So why not get your trip to Beijing off to a great start by perusing some of our recommendations? After all – out there starts here! If you're visiting Beijing, checking out Tiananmen Square and Forbidden City should be at the top of your itinerary. These star attractions have played a vital role in putting this city on the map, are they're bound to make a big impression. You won't have to worry about a boring moment in this bustling city. The Temple of Heaven and Beihai Park will make sure you're always on the move. The CCTV Headquarters and the Great Hall of the People are some more worthwhile sights that won't disappoint you. Tiananmen stands as an important reminder of history. Discover why this commemorative piece was commissioned and better understand the local heritage and accomplishments. There's an excellent range of things to keep you busy in this destination. A quick way to truly immerse yourself in a region's culture is to swing by its lively marketplaces. Browse through the products and shop like a local at Hongqiao Market. Still have some time to spare? Structures that honour the dead are often both impressive and sobering. Swing by Chairman Mao Memorial Hall for some quiet contemplation. A holiday is a good time to stop, recharge and unwind. It's also the ideal time to open yourself to new experiences! If you want to take a look at all the activities on offer, head to the Beijing things to do page. 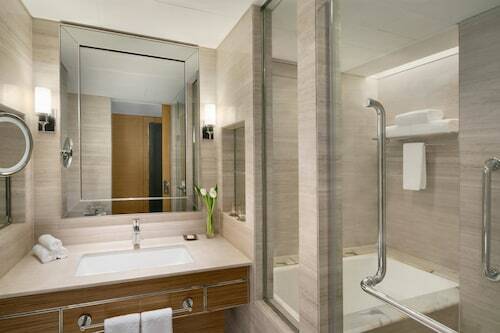 Get a running start on your Beijing travel itinerary by securing somewhere to stay. There are 1,110 accommodations in the national capital that can be booked via Expedia. We have luxury getaways and cheap holidays for every kind of traveller. 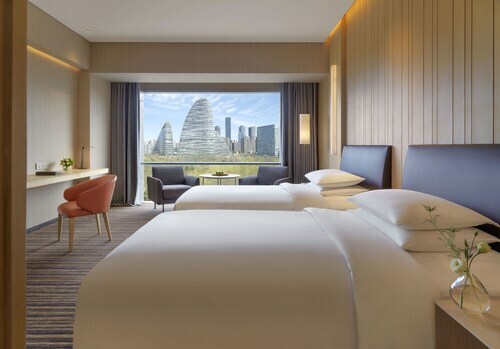 Upscale options such as the Pangu 7 Star Hotel (27 Central North 4th Ring Road) and the Shangri-La China World Summit Wing, Beijing (No.1 Jianguomenwai Avenue) are bound to please even the most discerning travellers. If you've added up the numbers and these don't agree with your budget, don't fret — we have some more economical options. 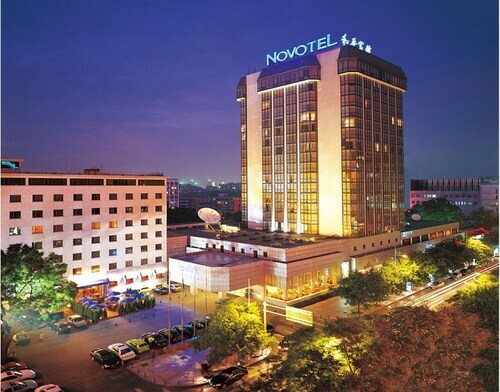 Take a look at the Beijing Hotel NUO Wangfujing (33 Chang An Avenue, Dongcheng District) and the Super 8 Hotel Guozhan - Beijing (1 Xiaohuangzhuang Rd Heping W). A real highlight of any stay in Beijing is Tiananmen Square. If you'd prefer to stay within close proximity of this world-famous attraction, The Imperial Mansion, Beijing Marriott Executive Apartments and the Beijing Hotel are both great options. Have you booked your plane tickets for your trip to Beijing yet? When you land, get ready to stroll out into Nanyuan Airport (NAY). It's 8 miles (13 km) from here to the main streets of town. 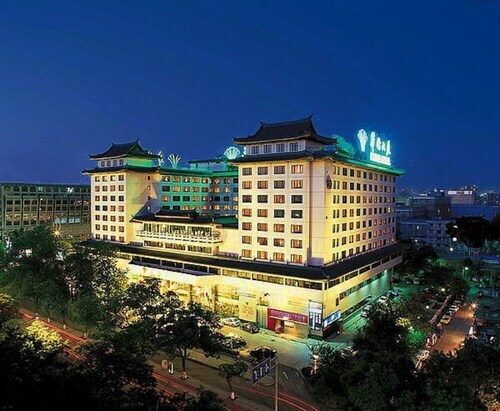 Located in Xicheng, this luxury hotel is 0.1 mi (0.1 km) from Beijing Financial Street and within 3 miles (5 km) of Forbidden City and Tiananmen Square. Beihai Park and Tiananmen are also within 3 miles (5 km). Lingjing Hutong Station is 16 minutes by foot and Fuchengmen Station is 16 minutes. 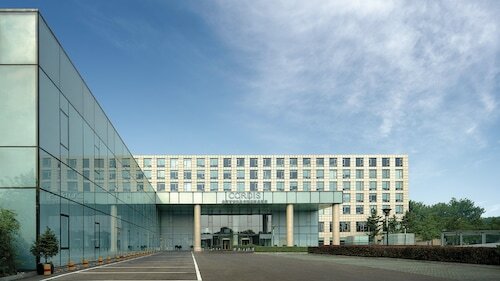 Located in Dongdan, this hotel is within a 15-minute walk of Peking Union Medical College and Wangfujing Street. Forbidden City and Sanlitun are also within 2 miles (3 km). Dengshikou Station is 10 minutes by foot and Dongsi Station is 18 minutes. 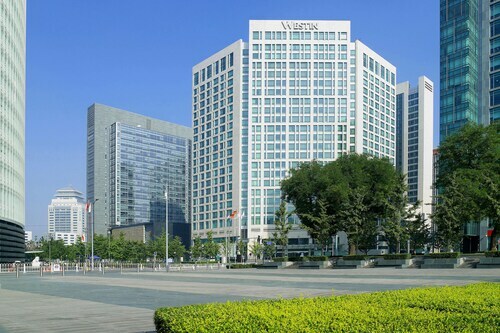 Located in Wangjing, this luxury hotel is 1.6 mi (2.5 km) from 798 Space and within 6 miles (10 km) of Sanlitun and Beijing National Stadium. Lady Street Market and North Star Shopping Mall are also within 6 miles (10 km). Wangjing Station is 28 minutes by foot. Located in Downtown Beijing, this luxury hotel is within 1 mile (2 km) of National Art Museum of China, Wangfujing Street and Forbidden City. Sanlitun and Tiananmen Square are also within 2 miles (3 km). Dongsi Station is only a 2-minute walk and Dengshikou Station is 13 minutes. 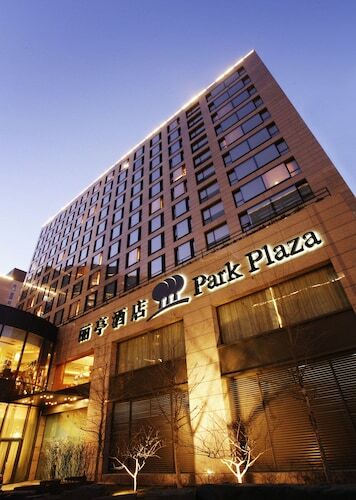 Located near the airport, this family-friendly hotel is within 9 mi (15 km) of New China International Exhibition Center, Goldenport Park Circuit and China Railway Museum. Lady Street Market and Beijing Golf Club are also within 12 miles (20 km). Terminal 3 Station is 16 minutes by foot. 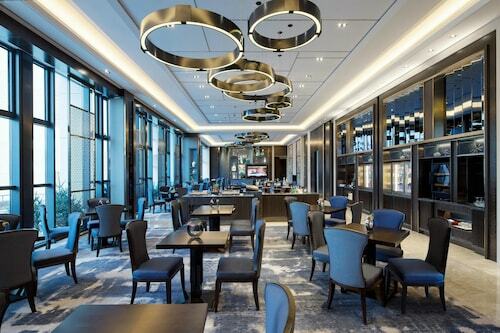 This family-friendly Beijing hotel is located in the historical district, within a 5-minute walk of Peninsula Beijing Shopping Arcade and Wangfujing Street. Forbidden City and Tiananmen Square are also within 1 mile (2 km). Dengshikou Station is only a 5-minute walk and Dongsi Station is 16 minutes.